SAF Tehnika is a progressive, socially responsible and financially transparent company that has implemented and strictly follows the principles of good corporate governance. We aim to optimize our corporate organization and transparency, as well as improve the quality of the information publicly shared by SAF Tehnika, thus increasing the desirability of our shares both for local and international investors, and substantiating the trustworthiness of our business. SAF Tehnika is being listed on NASDAQ Riga under the symbol SAF1R. Normunds Bergs, born in 1963, is Chairman of the Board and Chief Executive Officer of SAF Tehnika JSC. Bergs is one of the founders of Fortech Ltd. (co-founding company of SAF Tehnika) where during the periods from 1990 to 1992 and 1999 to 2000 he acted as Managing Director and General Director, respectively. Following Fortech’s merger with Microlink in 2000, and the establishment of SAF Tehnika, Normunds Bergs became CEO of SAF Tehnika and a Member of the Management Board of Microlink JSC. From 1992 to 1999 Bergs worked at the World Trade Center Riga, where he held the position of General Director and became a Member of the Board of Directors in 1998. He is a long-term president of Latvian Electrical Engineering and Electronics Industry Association. Normunds Bergs graduated Riga Technical University in 1986 with a degree in radio engineering. Janis Bergs (born in 1970) has more than 20 years’ experience in IT industry. From 2000 until 2006 he served as Board member and later as CEO of the largest Baltic’s IT company Microlink. In 2006, he with other partners started company FMS that became leader in Latvian ERP market. In 2014 FMS was sold to largest ERP software company in Nordic VISMA. After acquisition FMS was renamed to Visma Enterprise and Janis worked there until January, 2015. Janis Bergs was Member of SAF Tehnika Council from November 2006 till August 2010, long term Chairman of Board of Latvian ICT Cluster and over 10 years served as Board member of Latvian IT and telecommunication association. Janis Bergs has graduated Riga Technical University as radio engineer and holds MBA degree from Riga Business School. Didzis Liepkalns, born in 1962, is member of the Board and Technical Director of SAF Tehnika. 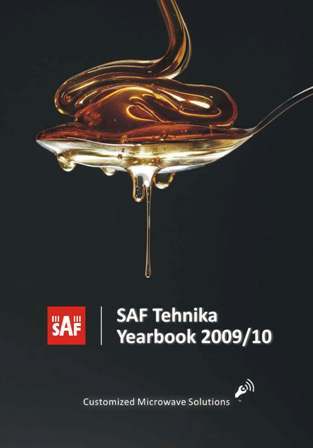 D. Liepkalns founded a private enterprise SAF in 1995 and co-founded the company SAF Tehnika in 1999. From 1985 to 1990 he worked as an engineer at the Institute of Electronic Engineering and Computer Sciences. D. Liepkalns graduated Riga Technical University in 1985 with a degree in radio engineering. Prior to joining the company in May 2015, Zane worked for SIA Citrus Solutions, the company providing design, building and maintenance services for engineering and technical systems and infrastructure, and being daughter company of the leading IT and telecommunications services provider in Latvia – Lattelecom. Initially she started as financial controller and become a Head of Finance in 2008 and a Board Member in 2012. Within the company, Zane Jozepa was responsible for organization and supervision of financial management, budgeting, including goal setting and control. She has been involved in new business development and strategy setting, processes of control and analysis. Besides she has experience as credit and price setting administration got in SIA CocaCola HBC Latvia from 2004-2006. Zane Jozepa holds bachelor’s degree in finance management from Banku Augstskola (BA School of Business and Finance). Zane Jozepa does not have SAF Tehnika shares. Juris Ziema, born in 1964, co-founder of the Company, is Vice-Chairman of the Council and Production Director. From 1998 to 1999 he worked as an engineer at Didzis Liepkalns' private enterprise SAF. From 1987 to 1999 J.Ziema worked as an engineer at the Institute of Electronic Engineering and Computer Sciences. J.Ziema has graduated Riga Technical University with a degree in radio engineering in 1987. Andrejs Grisans, born in 1957, is Member of the Council and Production Department Manager. A.Grisans has 20 years of experience in electronics and is one of the co-founders of SAF Tehnika. Prior to joining the Company, he owned and managed a private company specializing in electronic equipment engineering, production and distribution. From 1992 to 1999 A.Grisans was involved in entrepreneurial activities in the field of radio engineering. He worked as an engineer-constructor at the Institute of Polymer Mechanics from 1984 to 1992 and in the constructing bureau Orbita from 1980 to 1984. A.Grisans has graduated Riga Technical University with a degree in radio engineering in 1980. Aira Loite, since 2016 is Chief Financial Officer at Torgy Mek Group's and at the same time (since May 2018) also Director of SIA "Torgy Baltic" Ltd. From 2007 to 2015 she has been the Member of the Board of JSC "SAF Tehnika" and Director of Finance and Administration, and Managing Director since the end of 2011. From 2006 to 2007 she was Director of Business Information and Control Division at Lattelecom. From 2000 to 2006 she was a Member of the Board of Microlink Latvia and Head of Finance and Administration. A. Loite has graduated the University of Latvia in 1988 and holds Bachelor degree in Mathematics and MBA from Salford University, UK, obtained in 2009. Ivars Senbergs born in 1962, Member of the Council, also Chairman of the Board of SIA Juridiskais Audits, SIA Namipasumu parvalde, SIA Synergy Consulting, SIA Dzirnavu centrs, SIA IŠMU, SIA "RK Konsultācijas" and Member of the Supervisory Council of AS MFS bookkeeping. From 1999 until 2000 he worked as Finance and Administrative Director at SIA Fortech. I. Senbergs has graduated Faculty of Law, University of Latvia in 1986. Sanda Šalma, employed by Microsoft Latvia, currently Small and Medium Business Lead for Baltic countries. From 2010 to 2012 worked for a developer company RIX Technologies, participated in the work group of Latvian IT Cluster. From 2008 to 2010 was Citizenship & Education Project Lead at Microsoft Latvia. From 2000 to 2006 she was Sales Account Manager at Baltic Transshipment Center sales in Baltics and St. Petersburg. She has graduated The University of St.Petersburg and holds BSc in Psychology and MBA from RISEBA and Salford University, UK.